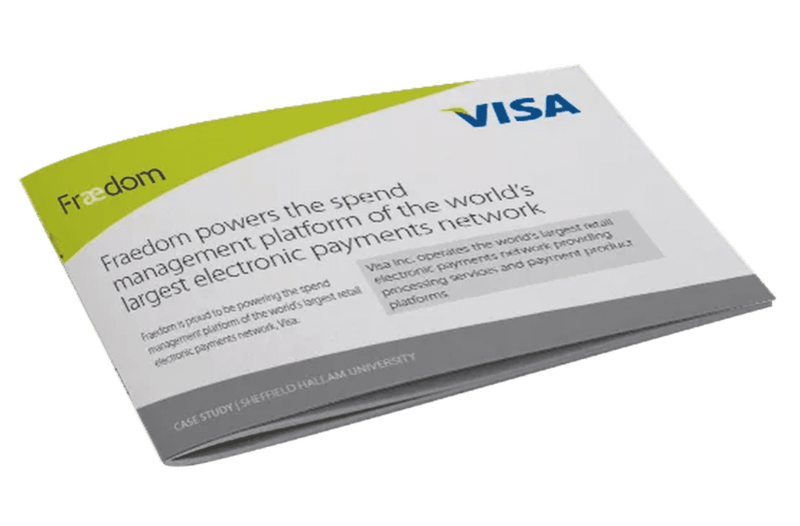 Fraedom is proud to be powering the spend management platform of the world’s largest retail electronic payments network, Visa. Visa IntelliLink Spend Management provides extensive reporting and expense management capabilities for organisations of all sizes over a single scalable platform, powered by Fraedom. The solution allows Visa’s issuing financial institutions to offer a leading-edge transaction management platform to their customers, helping them strengthen their competitive advantage. Extensive reporting and expense management capabilities. A single platform that can service a range of transactions and customer needs. Visibility and control over procurement, travel and entertainment expenses. The market is evolving from basic expense management to a broader world of transaction management, and this is providing a huge opportunity for savvy bankers to stay ahead of the market and generate real competitive advantage. We believe this new global platform offers reporting and expense management solutions and capabilities beyond those available in the marketplace today."